Volunteering abroad as a family may seem challenging, but there are actually several programs around the world suitable for parents and kids to go on a meaningful holiday together. Families choose to share a volunteer experience overseas for many reasons. For a start, it’s an exciting adventure and an opportunity for parents to bond with their children. It’s also a life-changing learning process for the children, opening their mind to different cultures and helping them to become aware of the importance of giving back. Sometimes they even learn a new language! GivingWay offers families many non-profit volunteer opportunities where they can participate in much-needed charity work. GivingWay has the perfect volunteer activity for families open to an amazing life-changing experience deep in the hills and valleys of rural Cambodia! Kep Gardens Association is a Cambodian vocational training centre with a mission to teach a number of skills to help the locals gain employment. The founders of Kep Gardens, Andrew and Janine Judd, first thought of starting the nonprofit organization after a visit to Cambodia in December 2006. After seeing how disadvantaged the kids and people were due to the lack of proper education, they knew they had to do something. Kep Gardens has now grown and teaches over 148 students from Kampong Tralach village and the nearby villages. 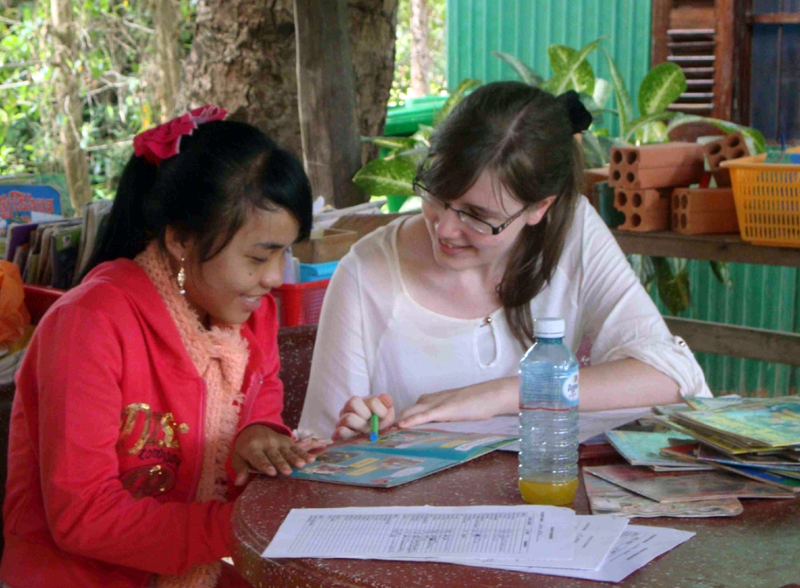 Kep Gardens is mainly interested in volunteers who can teach the students English, music, trade skills, sports, art, or any other skills that they are not familiar with. Kids can benefit a lot from this meaningful volunteer program as it gives them a chance to experience life in a completely different environment from what they are used to and the chance to interact and play with local children from the village. The large playground, great food, beautiful natural views, and friendly villagers also make the project such a fulfilling and unforgettable experience for families. You can also join a GivingWay Group to Kep Gardens! 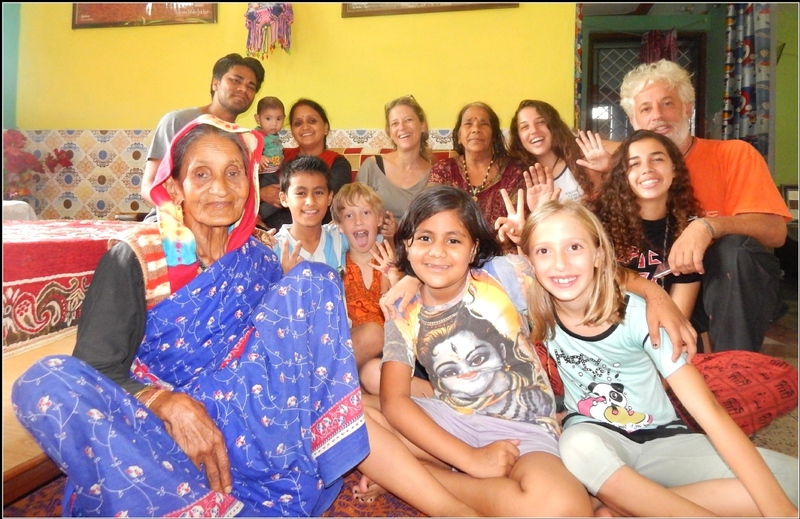 Pyunli is another great opportunity to volunteer abroad with kids and help change the lives of vulnerable communities in Gauchar, India. This nonprofit is dedicated to helping every child get a quality education regardless of their social or economic standing. Pyunli was founded in November 2015 with an aim to foster social change through women empowerment and child education. It is driven by the noble tradition of serving others before self. The organization has grown over the past three years and helped make a difference for a lot of people in that short period. Pyunli has a lot of volunteer activities specially designed to benefit the locals and also give parents and their children an extraordinary meaningful travel memory that they can share for the many years to come. Pyunli needs volunteers to teach the local kids any foreign language, art, craft, music, dance, origami, among other skills and western culture. 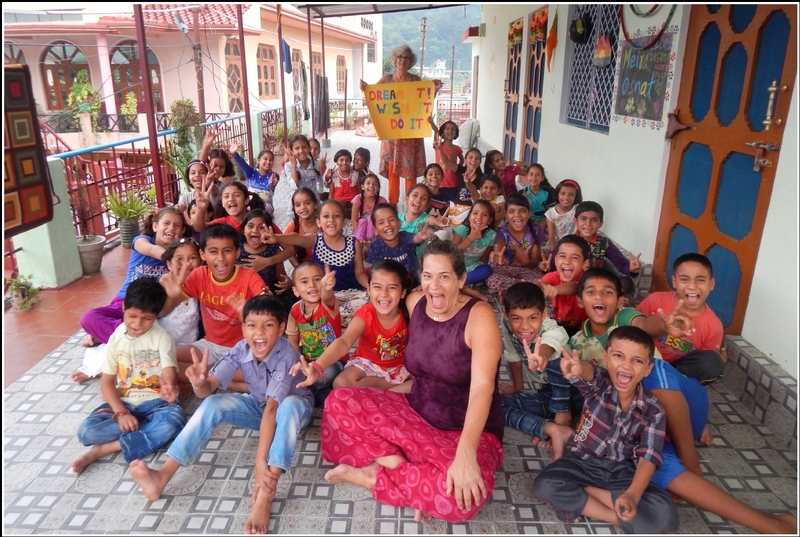 The children who volunteer also get to experience life from the Indian kids’ perspective which is also a great learning opportunity for them. There are many exciting activities families can do around: engage the friendly neighbors, attend colorful festivals, enjoy the beautiful scenery, play and have fun with the locals. You can also join a GivingWay Group to Pyunli! Ecoreach Foundation is a nonprofit organization located in Kathmandu, Nepal. Their mission is to tap into the volunteers’ skills in order to help the locals improve their living standards and eliminate poverty. Ecoreach Foundation was founded in June 2014 and is headed by Rajani Baniya who is also the founding member. The foundation has a growing number of dedicated staff and international volunteers who have already made a positive impact in the short period the nonprofit has existed. Their main volunteer activities involve matters related to agriculture work, childcare, social work, women empowerment, conservation work, disaster relief and teaching. 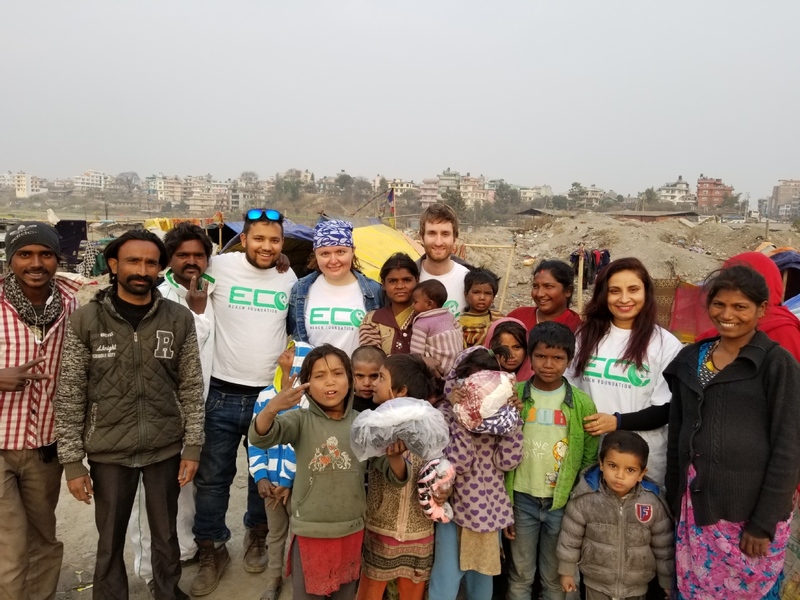 Ecoreach foundation gives parents and their kids a chance to participate in responsible travel by participating in various volunteer programs. The foundation is always looking for volunteers to help in many community development projects. 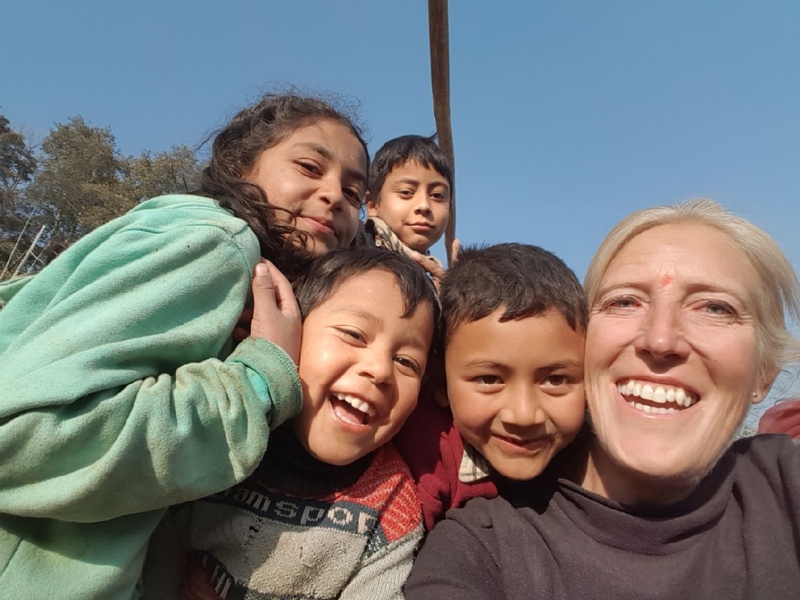 Benefits of volunteering as a family at the Ecoreach Foundation include experiencing and learning from the rich Nepalese culture, interacting with the friendly local people, working outdoors, and enjoying the picturesque views of the Himalayas. Tortugas de Pacuare is a project in Limon, Costa Rica that was started to help save and protect turtles which are one of the endangered species. Costa Rica is home to many important beaches for turtle nesting, some of which are protected by the government but most of which are left exposed to human and other dangers. Tortugas de Pacuare was born five years ago on the northern island of the Pacuare River. When it started, it was hard for the founders to protect the beach at all times which is necessary because the dangers are always lurking. Volunteers have helped get the organization to new levels by helping to provide round the clock protection for the turtles. 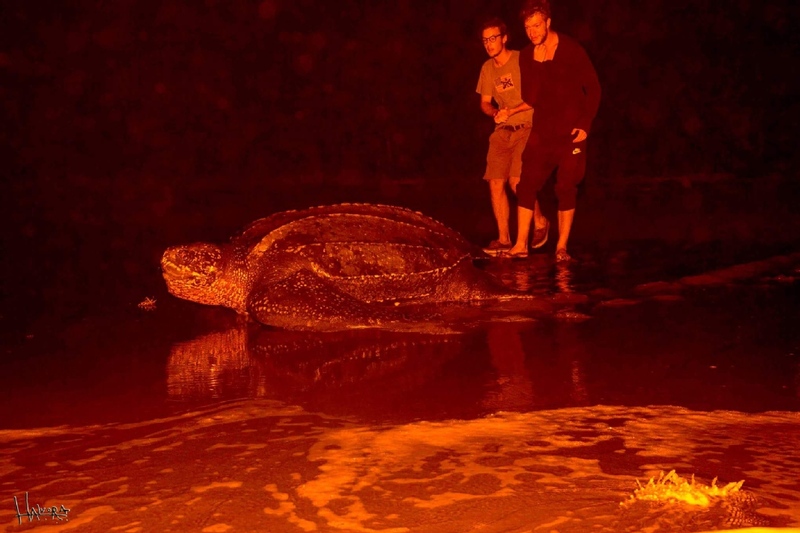 Tortugas de Pacuare needs volunteers of all ages to help patrol the beach every night and bring any eggs they find to the secure hatchery. Other volunteer activities for families with kids include recycling plastic, beach cleaning, teaching English and other skills, among others. 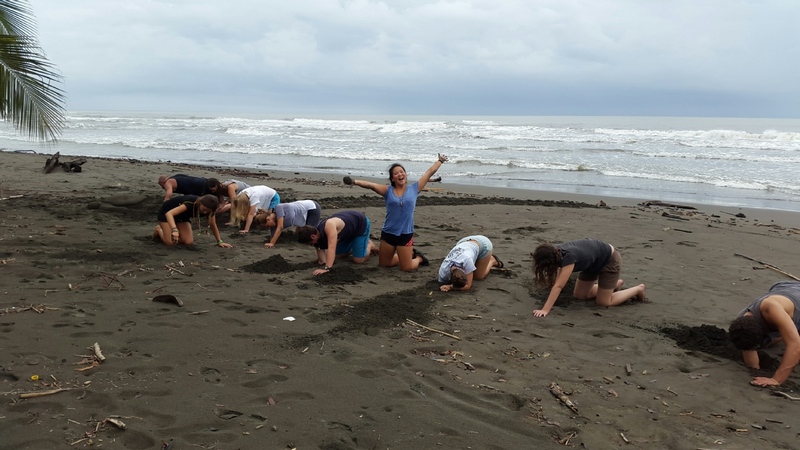 In their free time, volunteers can take tours to various beautiful destinations in Costa Rica, visit the Tortuguero national park, hang out with locals, among other fun activities. 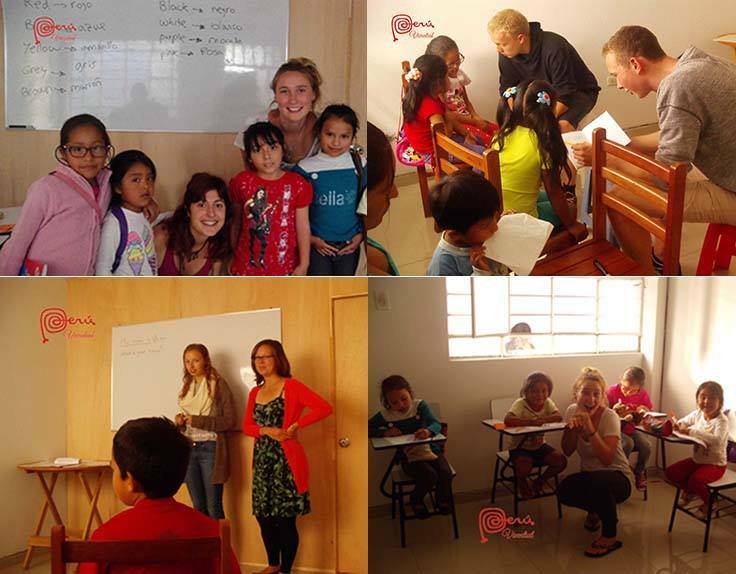 Peru Vivential is a small nonprofit organization located in Trujillo, Peru. The organization is on a mission divided into two main projects: teaching English to poor kids in Trujillo and offering a hand at a shelter for rescued street dogs. Peru Vivential was established in 2014 to improve the quality of education in the community and to create better opportunities for the disadvantaged children in Trujillo. The nonprofit also dedicated to helping any stray dogs found in Trujillo. Currently, they offer help to a shelter that accommodates up to 40 dogs. 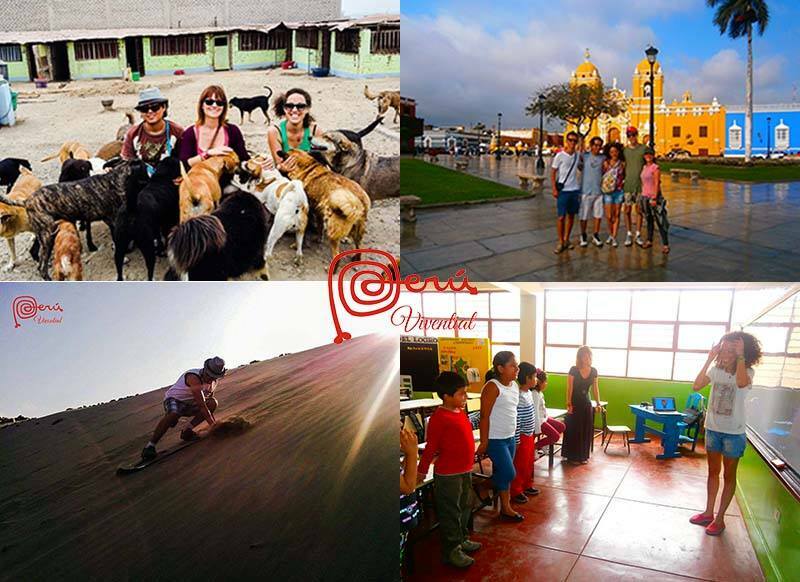 Peru Vivential is a great place to participate in volunteer programs with kids. The main task of volunteers is teaching English and other skills to the locals and helping in the protection of the abandoned dogs and finding them a new home. Kids who love dogs can also enjoy playing with them, taking them for walks and feeding them. When they are not working, volunteers can also take part in other fun activities such as salsa lessons, Spanish lessons, surf lessons, and generally hanging out and sharing experiences with the friendly locals. “The work being done here is truly wonderful, and the children appreciate everything! William & the other volunteers do everything possible to make teaching English fun and the results and feedback are great. The dog shelter project is also very worthy, with the bulk of the work there being done by just one man – so the help of the volunteers is invaluable! The volunteer apartment has everything you need – good wifi, hot water, kitchen etc – and is situated in an ideal location on the outskirts of Trujillo, near a big, modern shopping mall and many cheap local restaurants and the traditional market.